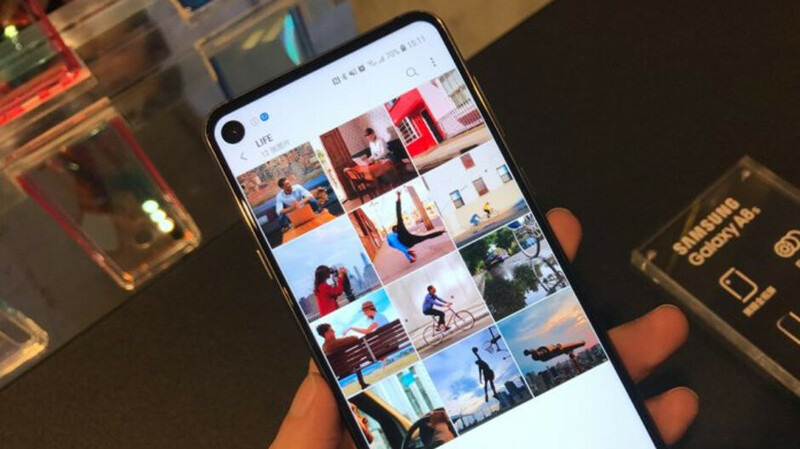 Yesterday, Samsung launched the Galaxy A8s in China. A phone, which very likely gives us hints of what's to come with the next flagship — the Galaxy S10. And what's that? Well, the lack of a headphone jack is one thing... and a hole in the display is another. See, Samsung is not going the "notch way". Instead, it'll house the selfie camera in an isolated circular cutout at the top of the screen, with all other phone sensors hidden beneath it. We stared at the few hands-on photos we have access to and it's definitely something different. We thought we'd ask you whether you like it or hate it. Turns out, almost half of the voters feel like they could get used to it, and about a third of all users say they actually liked it! The sentiment is mirrored across our social media posts — while it's got its fair share of opponents, the Infinity-O is getting a warm reception for now. The poll options were poor. there wasn't an option for NO for Notch and Hole so the poll is WRONG! what kind of result can you get with these options? Hey guys I have some TVs and monitors for sale. They have some dead pixels so the price will be increased accordingly! Once the technology drops for both under screen cameras and sensors that don't require blank space, then we will have something. I'm not really sure how they're going to do under screen cameras - a camera needs a clear light path from the object being shot to the sensor. I don't understand if PA is actually trying to gather objective emperical data or they are just going for clickbait. You put up a poll with so many comments complaining about the poor options and what they will rather have, and then you "post your results" without any mention of said comments? If this is next year's solution to near bezel less design, then I'm skipping it. This is at best a temporary solution that will be rid of in a year's time just like the notch craze. Trust me. U buy one of these phones and ur gonna look back... 'Gawd damn... I bought one of these phones? Wtf was I thinking?!' lmao. Bezel life for me, I'm so glad I didn't pay a cent for any of these abominations. Who cares. Hole; notch; bezels....sorry but today's devises don't really do much more than yesterdays. To me, yesterdays design with bezels, if you are like many people and keep your phone in a case, work much better than the large screens with little or no bezels - if you need to swipe from the bottom top or sides (who would ever have to do that.....) with a protective case, it's difficult to get your thumb on the edge. They need to find a way to make it a full display and then shut off the hole area when the front facing camera is needed. As for the proximity sensors, maybe they can make them even smaller and place them elsewhere or be innovative in design and placement. Lmao the choices are basically maybe, yes and yes. So what's the end result going to be? The hole is beyond stupid. I have a hard time believing anyone at Samsung would approve this! IF you're going to have this ridiculous dead spot, at least center it. Almost every app has a navigation key or function tucked in the upper right or left corner. Are you really going to limit screen space to BELOW that hole? How is that better than a couple mm bezel? Or a small notch for that matter?!... Look at the picture. Small bezel up top but a huge waste of space for this gallery app. Actual app starts WAY down the screen below the hole! Samungs fans syas its fine. Apple fans says its fine. Neutral ones says its damn ugly!